**Because we use secured cloud storage to allow you unlimited storage and access from any iOS device there are a couple of steps you do to upload and download your report. Why isn’t my Report uploading or downloading? Although the iFALLCEPT software is available offline, your reports are managed in the cloud. You will need to connect to wifi or turn on your cellular data for iFALLCEPT. What happens when I don’t have time to finish a report? You can start and stop reporting just be leaving the app right where you were. When you log back and click on your service you will be prompted with “Resume” or “Start New”, click resume and you can start right back where you left off. How do I email my report? =>click on your assessment again and you will be taken to a screen with your full report. On the bottom center there is a square with a up arrow, click here to see example. How to I update my user profile? 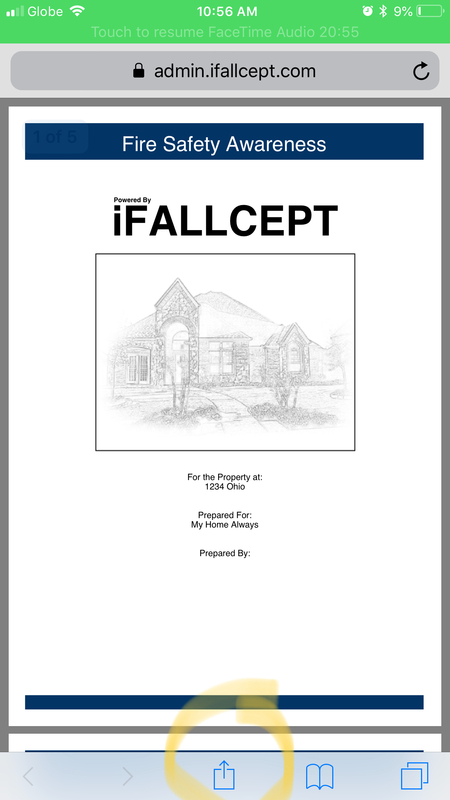 Go to the main page of the app where you see the iFALLCEPT logo at the top. We strive to provide the best user experience to our customers. Please feel free to drop us a question, comment or note! We will respond as quickly as possible.